BONNEVILLE International Urban AC 102.9 KBLX, San Francisco – Is Truly Thinking Outside Of The Box! When most people think of Lady Gaga’s music, they would say it is pop. Most programmers would probably say the same thing. This isn’t disputable. What is disputable is keeping her in that lane. If that is the case, urban radio fans would have never enjoyed on their favorite radio station Bobby Caldwell, Hall & Oates, George Michael, Lisa Stansfield, Teena Marie & more recent, Robin Thicke, Adele & Sam Smith. The color of one’s skin should not relegate them to a specific musical lane. Instead, their music should be judged on its merit. This is exactly what happened with me when I saw the highly acclaimed movie “A Star Is Born” and co-star Lady Gaga bellowed out “I’ll Never Love Again.” This song moved me as I watched the movie. It had the same impact hearing it without the visual. I immediately thought of Whitney Houston’s Bodyguard smash, “I Will Always Love You.” Furthermore, if Whitney would have been with us today and performed this song, it would be a #1 hit on urban AC. Considering the diverse audience of KBLX SF., my intuition said that it would be accepted “hands down.” Getting strong feedback from my music director, on-air staff & seeing the diversity of people on social media championing this track gave me confidence to follow my soul. In researching this song, I found that our listeners love this song as much as they love “In My Feelings” by Drake, which is around (9) months old compared a track that was released last October. If you do not want the goose-bumper feeling, you may not want to listen to “I’ll Never Love Again” by Lady Gaga. 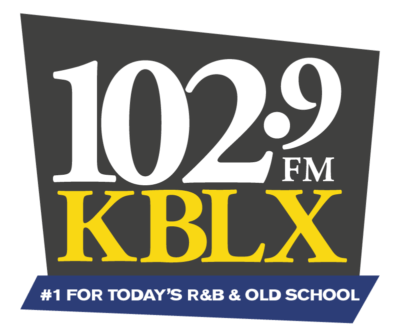 Program Director of KBLX, SF.